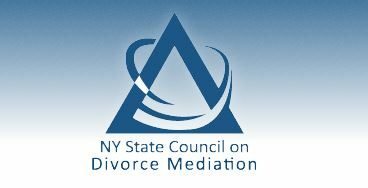 We could not be more delighted to be presenting on online presence basics at the 30th Annual Conference of the New York State Council on Divorce Mediation, entitled “Mediating ‘Between a Rock and a Hard Place'”. The conference takes place May 2-4, 2013, in Saratoga Springs. If you know divorce mediators, you know that they will have a lot of insightful questions. SEO. Social media. Online advertising. Local search. Cloud computing. Does all this make you want to yell, “Help!”? Internet marketing basics and why they are essential in developing and growing a small business. How the web may be worldwide, but your business is local, especially online. How mobile devices impact your online assets. We will also identify low- or no-cost reliable online services that will help you to enhance your online profile and to make your business run more efficiently. If you are a divorce mediator, or thinking about becoming one, then you definitely should attend this conference. The substance is terrific. I really appreciated the very informative presentation Cliff provided to our class this last weekend in NY and I am looking foward to working with him on my own website! Cliff gave us some very valuable tips for marketing and the do’s and dont’s. I highly recommend Cliff for your marketing needs! Cliff is an excellent presenter. He made an “arcane” subject (internet presence!) understandable. I highly recommend his lectures. Thanks so much, Mimi! I’m glad you enjoyed.